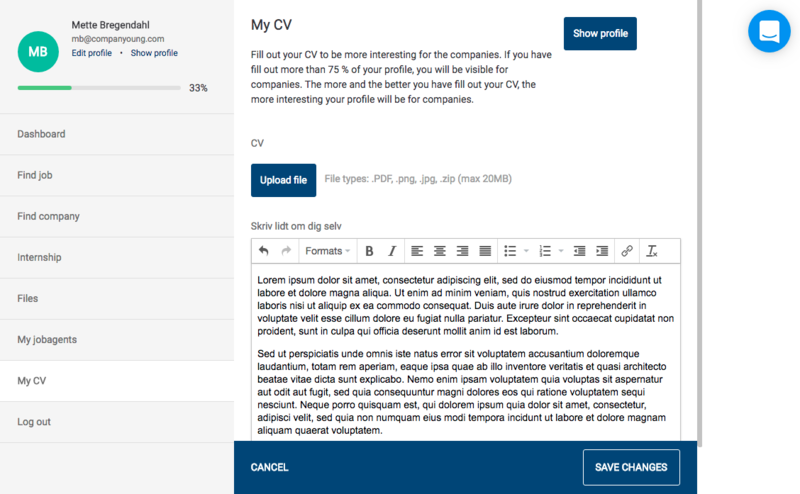 Under the tab 'My CV', you can add your resume which makes it visible for companies. It differs from user portal to user portal which fields the resume contains. What is common for all user portals is the fact that the more you add to your resume, the more companies will find your profile interesting. When you've filled out your resume, click 'Show profile' to see how it looks. It is recommended to upload a profile picture and fill out your internship wishes. Note, that your profile is only visible if you're actively job seeking and have granted permission in the profile settings.